Hello everyone! My name is Faustine and I am the brand ambassador for Le Comptoir du Bain. Isn't that fun? 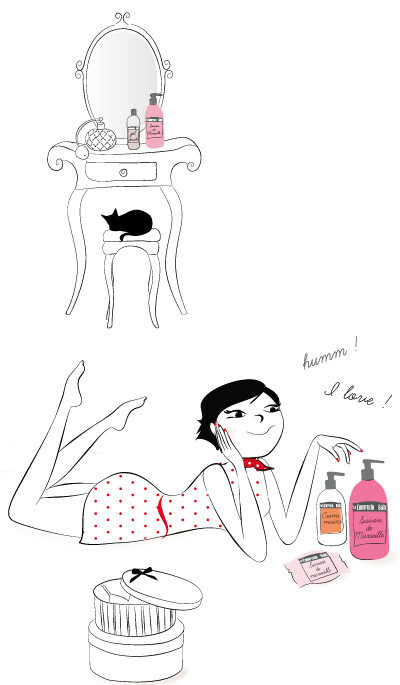 One day I was in a pharmacy and I stumbled upon the liquid soaps from Le Comptoir du Bain. I must say they really stand out from the other brands! Bursting with colour (which fits perfectly with my bathroom) and highly original fragrances at extremely affordable prices... It was love at first sight! A divine romance began that day – I am in love! Plus they have other really great products in their range (which I will introduce to you on this site)! I cannot do without my Le Comptoir du Bain products. I use them throughout the day and each time is an escape to pleasure and well-being! million, Le Comptoir du Bain! Now I can say it: Le Comptoir du Bain has everything going for it! So follow my example and get the full Le Comptoir du Bain experience. Shall we?